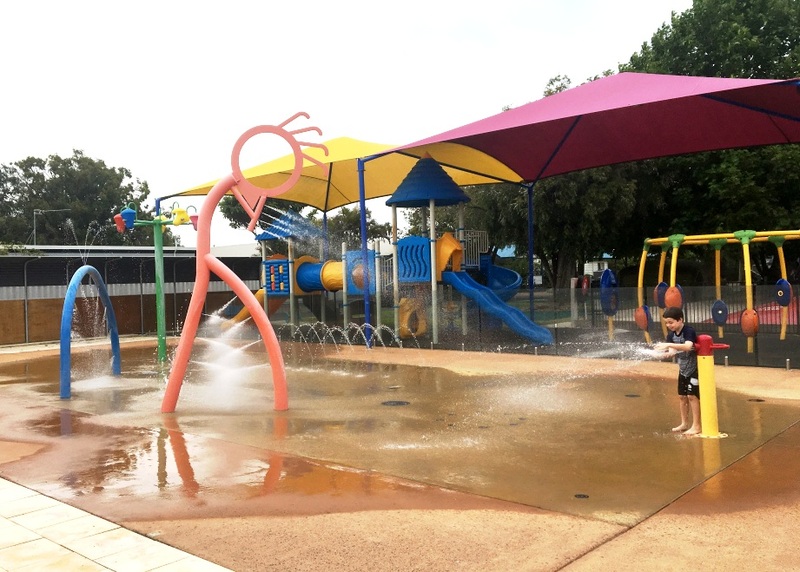 Big 4 Beachlands Busselton is your one stop location for a Perth family getaway with everything you need for the whole family to stay, play and relax. 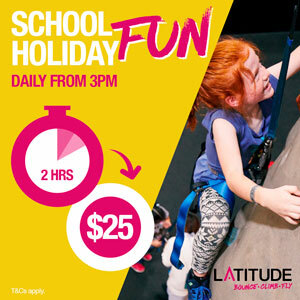 Getting out of the city for a holiday with the kids has never been easier at Big 4 Beachlands Busselton. 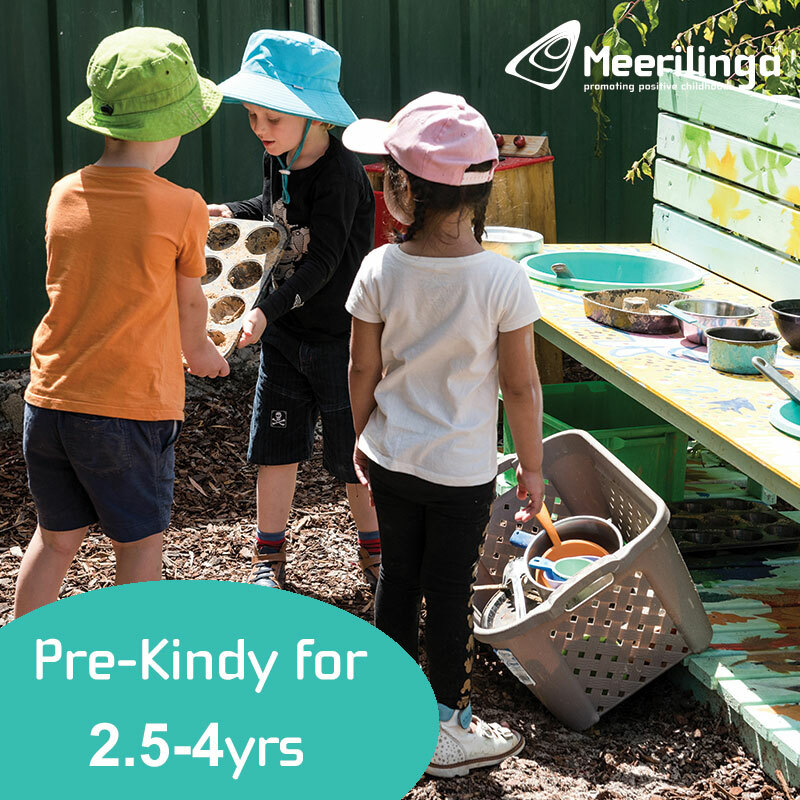 Whether you just want to stay and relax, or use Beachlands as a base to stay while you explore all the sites of Busselton, Margaret River, Dunsborough and Yalllingup, there is so much to keep the kids entertained. They are guaranteed to be completely exhausted after your stay. 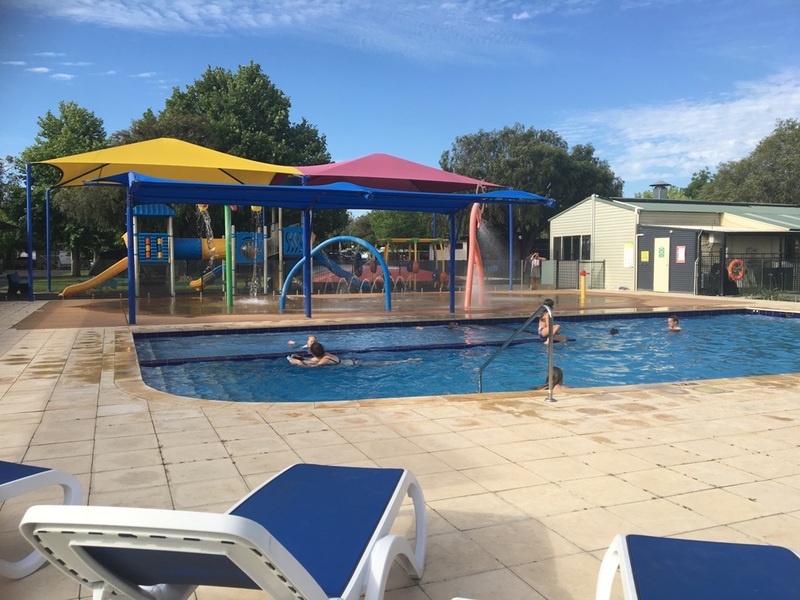 The pool is heated and is 1.2m in depth and has a 0.5m depth toddler pool within the main pool. Alongside the pool and within the fenced area is the water playground, which was just as much a hit with the kids as the pool. This is activated by pressing the buttons on the wall within the pool area, and away you go. 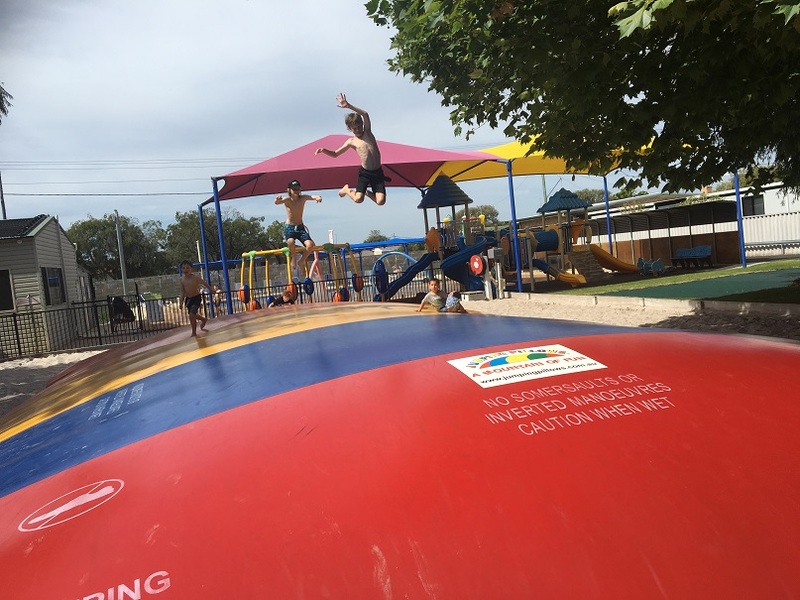 The jumping pillow was the absolute favourite! Before breakfast, after breakfast, morning, afternoon, the kids could seriously have jumped on it all day. The pool is open and jumping pillow inflated until it starts to get dark. 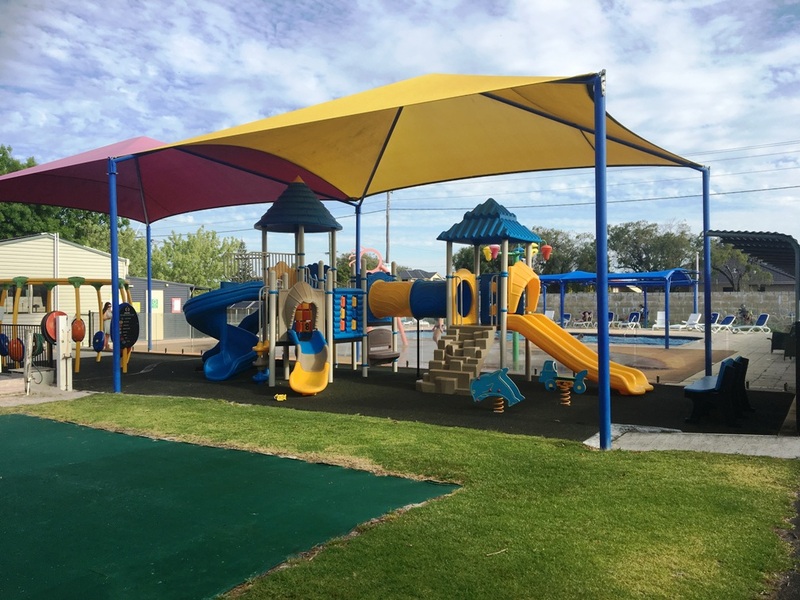 The playground is located outside the pool area, is well shaded and is fun for the younger kids. 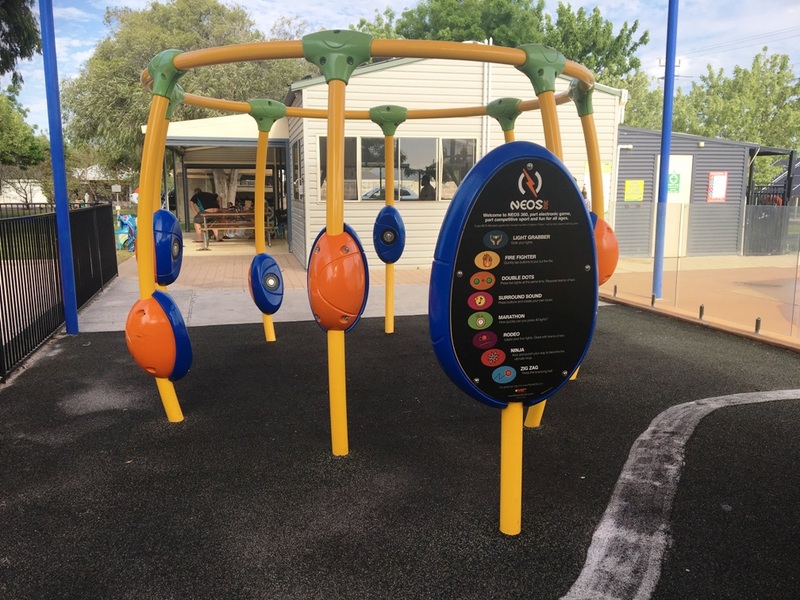 It includes at Neos 360 Play Zone, which is an outdoor electronic game, with different challenges for the kids to conquer, even the big kids loved this one. Nothing like outdoor electronics! 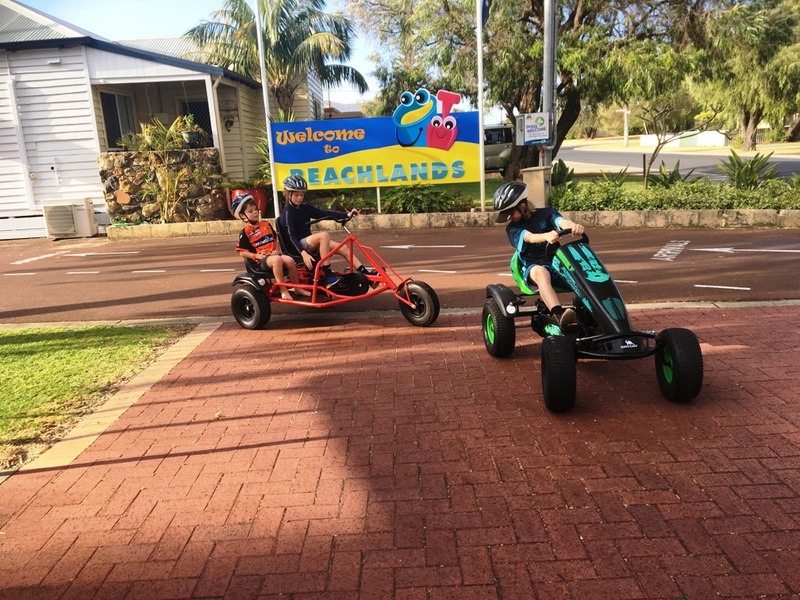 And if that's not enough for the kids, you can hire pedal karts for $10 per hour (height limits apply) or hire bikes to ride around the park or to explore the Busselton area. You are also welcome to bring your own bikes and scooters, just make sure helmets are always worn while riding in the park. 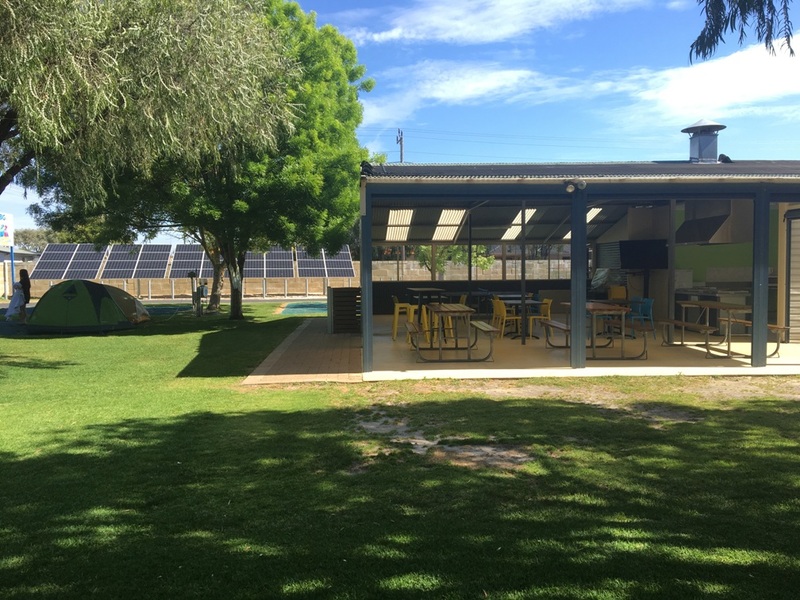 The main camp kitchen is located next to the play area. It was nice to cook our dinner at the free BBQs while the kids had a play. There is also a ping pong table within the kitchen. Bats and balls can be obtained from the office for a small bond. 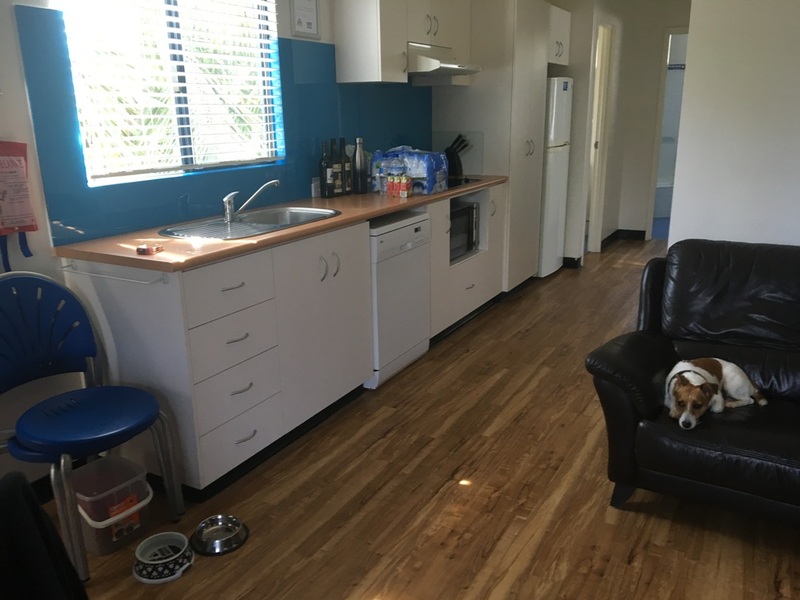 The camp kitchen is enclosed with blinds and has full dish washing facilities, bbqs, microwave, kettle, toaster and a big TV too so you can watch the big game or catch up on the news while you cook. 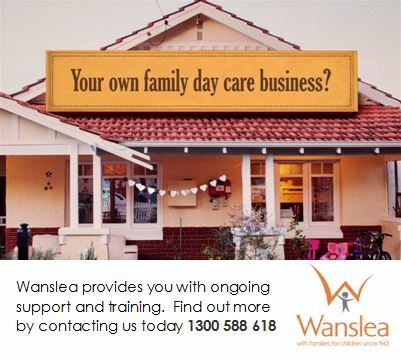 Activities are hosted here so keep an eye out for those in the holidays. If you want a quieter cooking experience there is a small camp kitchen up near the office. We stayed in an airconditioned 6 berth Spa Villa, which was perfect. 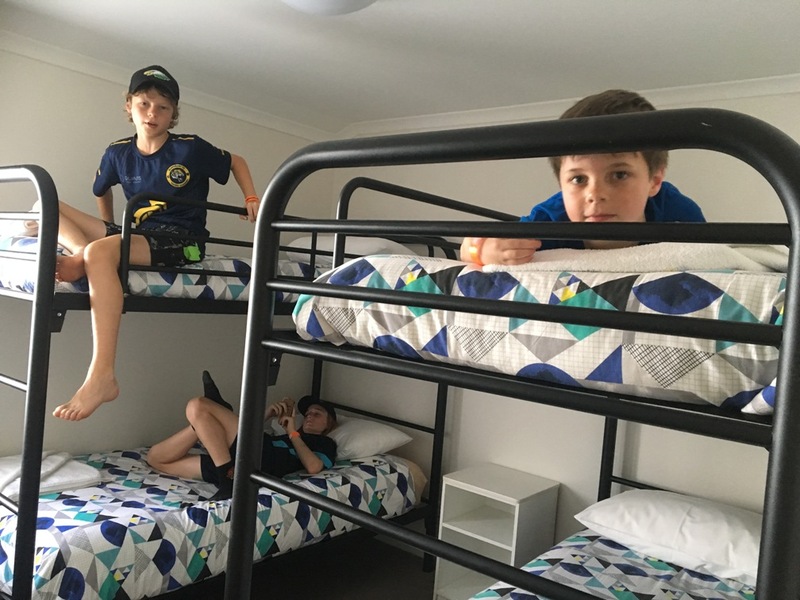 The kids love their bunk beds, and our dog was allowed to stay with us too (note: your dog cannot be left unattended, however can join you around the park, but can't go into the pool area, play areas or camp kitchens). Our villa was fully contained with everything we needed (only thing it doesn't have is an oven, but there is a cooktop in the kitchen and BBQs available in the camp kitchens). 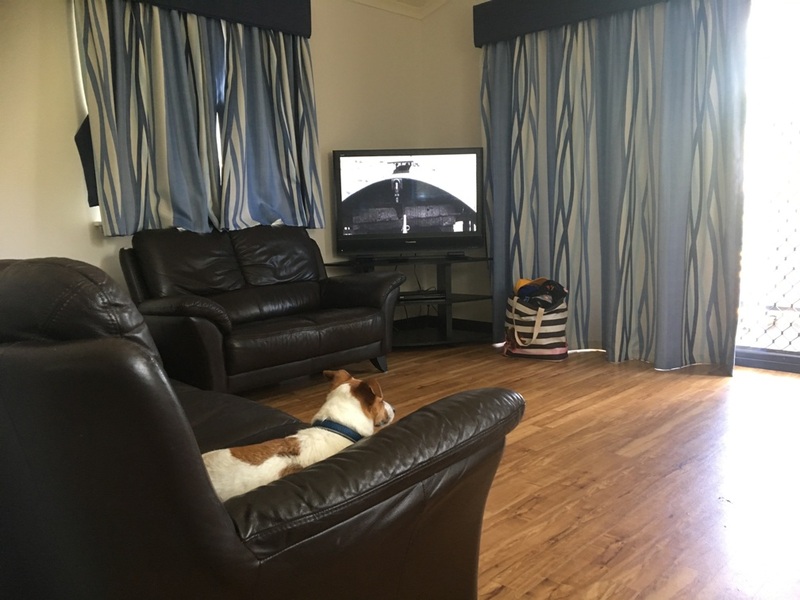 A TV is located in the lounge as well as the bedroom and a DVD player, which was perfect for an afternoon movie before heading back out for an evening play. The beds were super comfy and the kids loved their room and bunk beds. The kids were super excited about having a spa bath every night too. 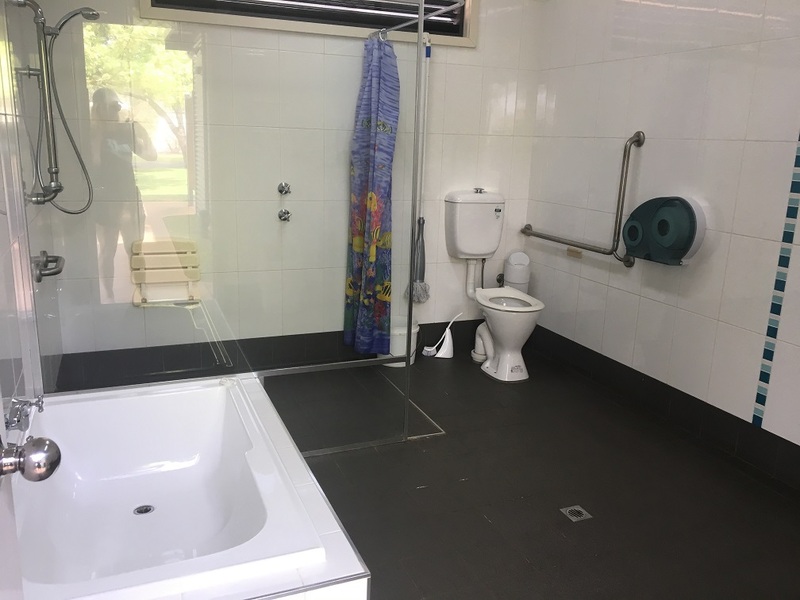 If you are camping you will love the two large family bathrooms (one disabled accessible) complete with shower, bath and toilet, located by the pool. Perfect to get the whole family showered after a day at the pool or the beach. 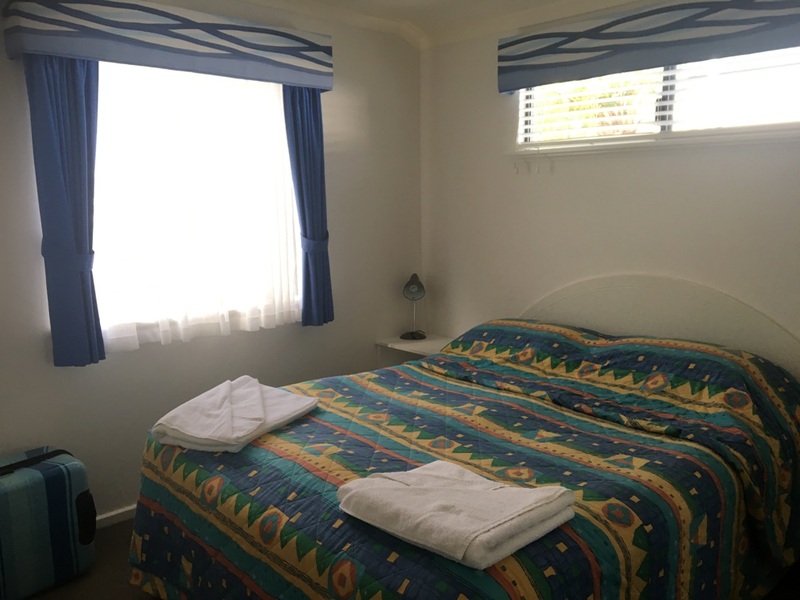 If you fancy adding some family time at the beach to your getaway, then Big 4 Beachlands is perfect for you, with a beautiful beach just 200m walk from the holiday park. 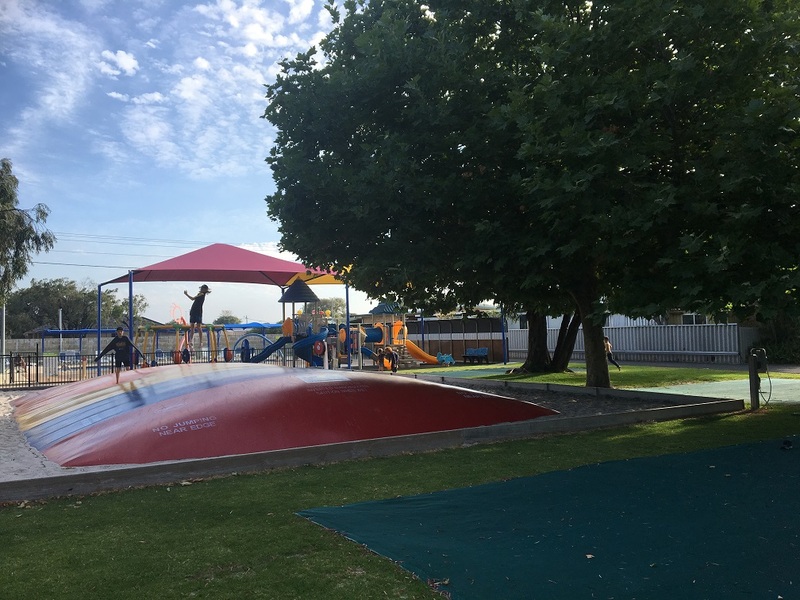 You may even like to take in a family ride from here, straight along the coastal shared path to the Busselton Foreshore and Jetty. Other facilities and services include guest services that can help you plan your holiday with brochures, maps and friendly local advice on hand. You can also give them our coffee order and have it delivered to you first thing in the morning. Free WiFi is also available within the holiday park and a coin operated dog wash and a laundry too. We did a little bit of exploring while we were in Busselton, but you can just as easily fully enjoy your getaway without driving anywhere. There is so much for the whole family to enjoy and the Big 4 Beachlands staff make it their duty to ensure you have an amazing holiday. 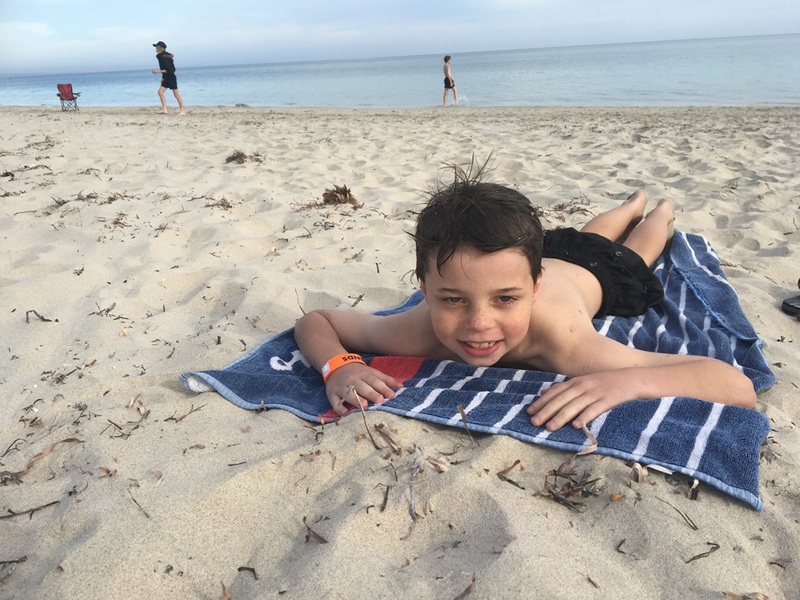 Whether you camp or stay in the Jaccuzi Bungalow, the whole family will enjoy this incredible holiday park, and you'll be sure to visit again and again. 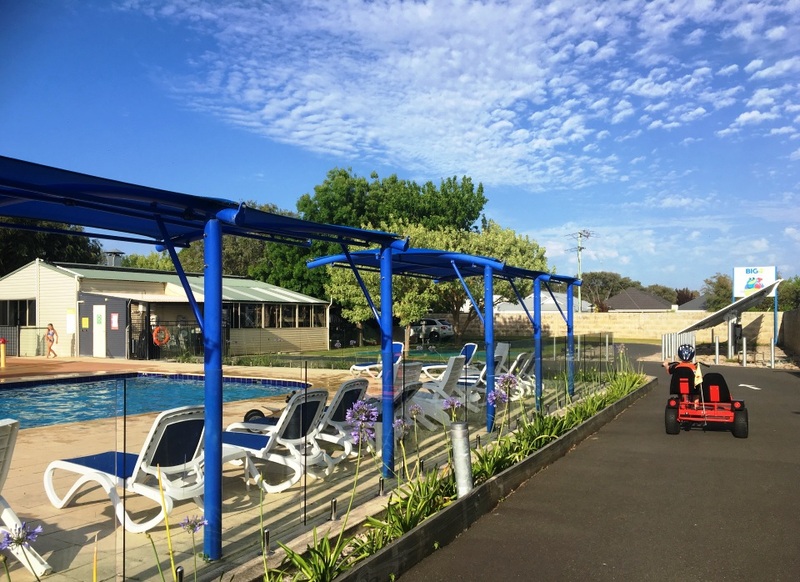 Want to SAVE 10% OFF Accommodation (minimum 2 night stay) at Big 4 Beachlands AND get one FREE Pedal Kart Hire*? (*conditions apply). Then get the KidzaBuzz App today to find out how to redeem. Details below.